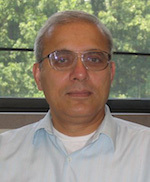 My research interests are in developing inter-disciplinary knowledge in System Informatics, as the basis for study of complex system problems with the fusion of theory, computation, and application components adopted from Systems and Informatics fields. In this framework, a complex system such as the supply chain is posited as a System-of-Systems; i.e., a collection of individual business entities organized as a composite system with their resources and capabilities pooled to obtain an interoperable and synergistic system, possessing common and shared goals and objectives. Informatics facilitates coordination and integration in the system by processing and sharing information among supply chain entities for improved decision-making. A common theme of my research is the basic foundation of universality of system and the realization that what makes it unique is its environment. This has enabled to categorize problems, designs, models, methodologies, and solution techniques at macro and micro levels and develop innovative solutions by coordinating these levels in an integrated environment. My goal is to study the efficacy of the body of knowledge available in Systems Theory, Information Science, Artificial Intelligence & Knowledge Management, Management Science, Industrial Engineering and Operations Research fields; applied uniquely to issues and problems of complex systems in the manufacturing and service sectors. Developing Generalized System Taxonomies and Ontologies for complex systems management. Experimenting with Problem Taxonomies for design and modeling efficiencies in complex system networks. Developing methodologies, frameworks and reference models for complex systems management. Supply chain information system and knowledge library using Web-based technology as a dissemination tool. Integration with Enterprise Resource Planning modules in SAP software. Supply chain management problem-solving through application of problem specific simulation and optimization. My research has extended to application domains in healthcare, textiles, automotive, and defense sectors. Problems and issues addressed relate to health care management, operationalizing of sustainability, energy conservation, global logistics management, mega-disaster recovery, humanitarian needs management, and entrepreneurship management. Currently, my application focus is on expanding the breadth and depth of inquiry in the healthcare domain. Among the topics being investigated are: (1) the organization and structure of health care enterprises; and (2) operations and strategies that relate to management of critical success factors, such as costs, quality, innovation and technology adoption by health care providers. Two significant topics that I have chosen to study with regard to care for elderly patients suffering from chronic congestive heart failure and hypertension are: (1) the design of patient-centered health care delivery to improve quality of care; and (2) managing enhanced care costs due to readmission of these patients.